Synastry Press * Poe Revealed! Celebrate Poe's Birthday with us! Art Exhibition in Richmond, Virginia! See photos from the book in person! With 75 plates in color and black-&-white, all dating to Poe's lifetime and never before in print! Including reproductions of never before seen documents, some in the actual hand of Thomas O. Mabbott, proving that Edgar Allan Poe was the father of Frances Sargent Osgood's daughter, Fanny Fay Osgood. Check back soon to ORDER this book with . The goal of Synastry Press is to present Cynthia Cirile's books about Edgar Allan Poe and his circle to both the general reading public as well as the scholarly reader. Synastry Press is based in Los Angeles, CA. Cynthia Cirile is extremely appreciative of the many Poe/ Sully/ Darley/ Peale scholars, the professors and collectors, the curators and university/library staff who have been instrumental in bringing our work this far. Most people recognize the influence of Edgar Allan Poe on "life as we know it." What is not currently known is how deeply the lives of Poe, Fanny Osgood, and even Virginia Poe, influenced the novels of many 19th and 20th century writers. The goal of this book is to "show and tell" readers how and where Poe figures in the wider culture of not only his time, but also of our current time. If you open your eyes . . . Poe is everywhere! The fine line drawing above is by Alexander Von Jost, an engraver who was active in Richmond, Virginia, in the early 20th century. The Poe Museum in Richmond owns engravings he did of Poe, his wife, his mother and the Poe Shrine. 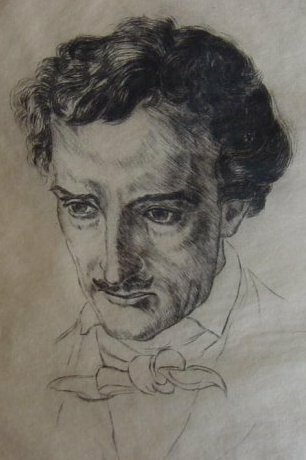 This portrait of Poe by Von Jost is from the Estate of Carroll Fuller Sweet. of the Poe Society. 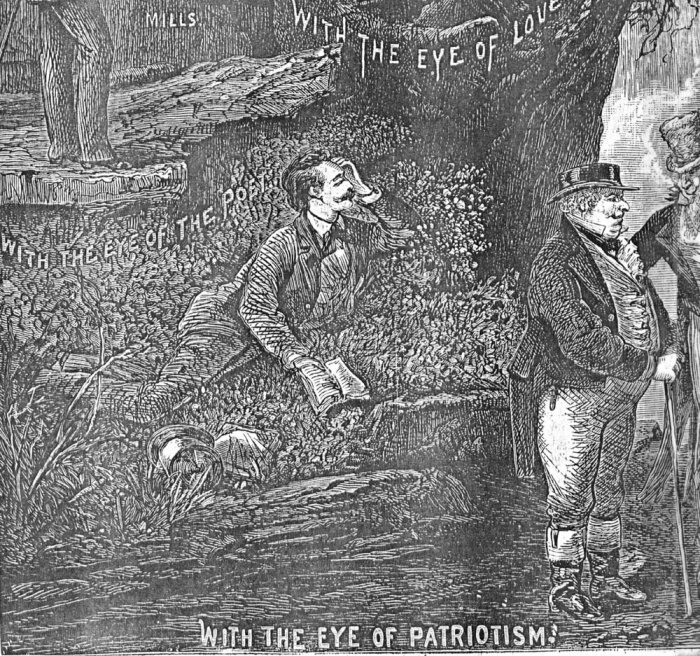 It appeared in a popular magazine during the 1880s.